In regard to the weight of vapes, some vapers prefer light weight ones for its portability, while others prefer heavy weight ones for its tactile appeal. 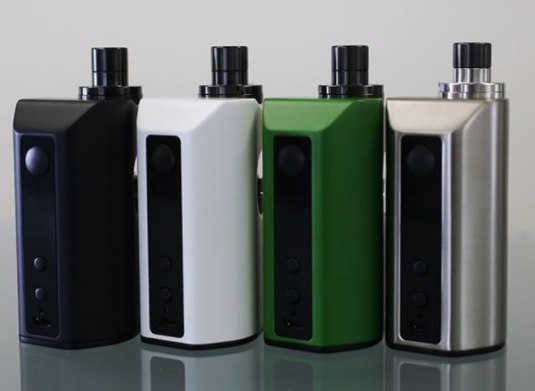 Eleaf ASTER RT with MELO RT 22 is a type of e-cigarette with a large size and heavy weight. Despite of its over-weighted appearance, ASTER RT with MELO RT 22 has more powerful functions than exquisite design ones. The size of ASTER RT is 50.6mm*40.0mm*95.3mm, from which we can know that it is much larger and heavier than normal sized ones. With such a gigantic size, the battery and e-liquid capacity are also larger, which is 4400 mAh and 3.8ml respectively. With 4400mAh battery, it is capable of generating an output wattage of 100W and it can last for a remarkably long time, which is very convenient. ASTER RT is mainly made of stainless steel, which contributed to its weight. On the other hand, it is more durable and can protect the inside batteries and atomizer. ASTER RT with MELO RT 22 features a recessed tank style, which makes it capable of accepting tanks up to 22mm diameters. The large size of ASTER RT with MELO RT 22 doesn't affects its convenience in usage. There is a retractable cap on the top, which provides facility for refilling. And it is also very convenient to clean as all parts of ASTER RT can be detached. The display screen of ASTER RT enables us to detect the real- time resistance, voltage, output wattage and battery life. ASTER RT with MELO RT 22 is also safe to operate as there is a built-in dual circuit protection system. It can protect the battery from over charging and over discharging. After a brief introduction of the functions of ASTER RT with MELO RT 22, we can have a better understanding of it. And there is more for us to explore.